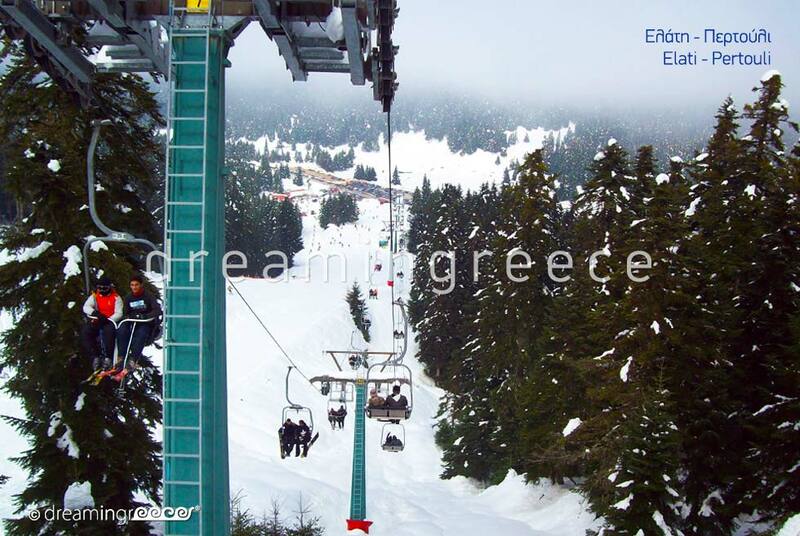 Built on the slopes of Koziaka Mount, surrounded by the uniquely beautiful nature, the picturesque Elati and Pertouli villages, located in Trikala area, are known as the most popular mountain destinations in Greece. In Elati, the stone houses and the roofs with the red tiles and the cobbled roads are well combined with the green landscapes composing a wonderful scenery. The village offers a wide touristic substructure, tens of hotels and traditional hostels, café/bars, shops of traditional products and souvenirs, fine restaurants, and traditional taverns which are about to introduce you to the secrets of the local gastronomy. Reaching the village of Elati (when coming from Pyli), you will find some wooden pavilions, where you can buy products such as various herbs, mountain tea, honey, jams and traditional goods like frumenty and unbottled (homemade) raki. 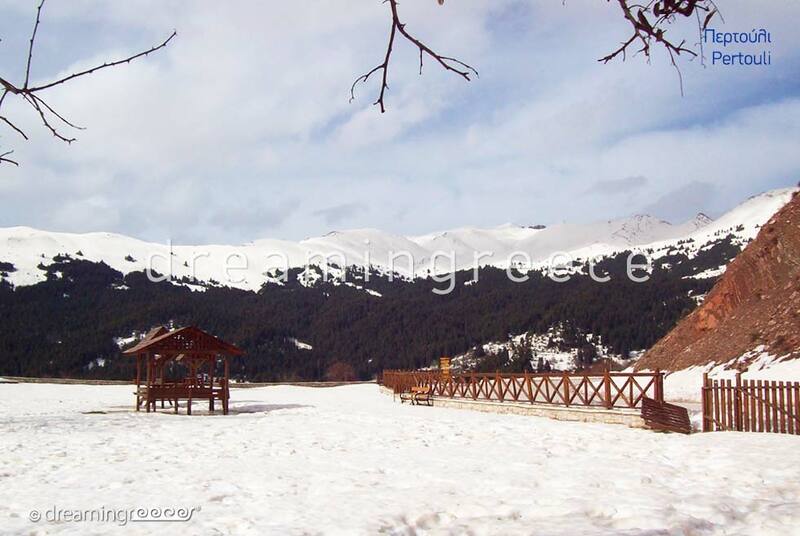 For those who love walking, they can visit the small grove with Profitis Ilias Church. Ideal for short walks are also the paths leading to the wonderful Kanalia, Kalogeromadri, Gouves, Itamos, Arvanites and Bei springs. Also, it is worth visiting the famous cave on the top of Arkoudotrypa hill; a place with easy access and unique view. 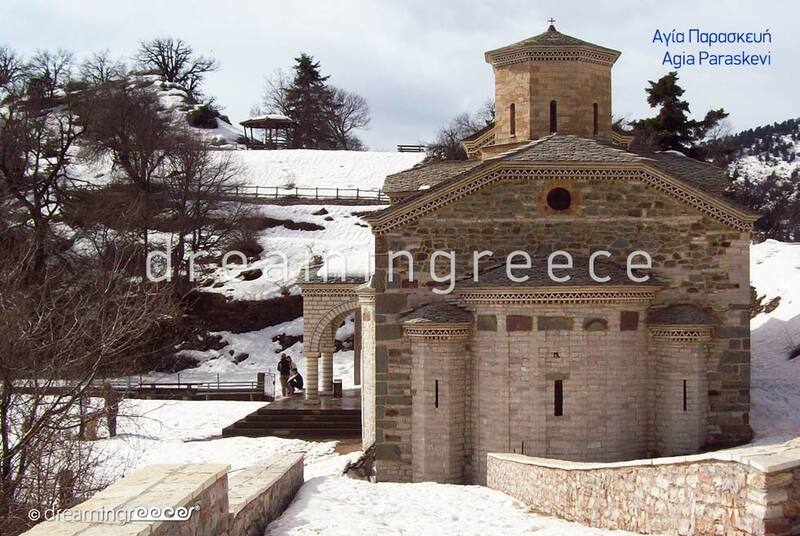 During your stay at Elati it is worthwhile visiting Theotokos Koimisis’ Monastery in order to admire the old icon screen, created from wood engravers from Epirus. The next village, Pertouli, though it has less touristic development, it will offer you the same amenities and services as Elati. Stone built houses with red tiles roofs or stones, thick forests, lush green meadows and running waters, are composing a dreamlike scenery. Among the best spots that you will meet in Pertouli are the fantastic Pertouli fields which are “cutting” the thick forest in two, composing an image that seems like it comes from a fairy tale. If you visit the fields during May you will have the chance to watch the famous “Sarakatsani gathering”; Sarakatsani are locals originated from all around Pindos area; a traditional fiesta taking place in the middle of the terrain, during the last weekend of May. 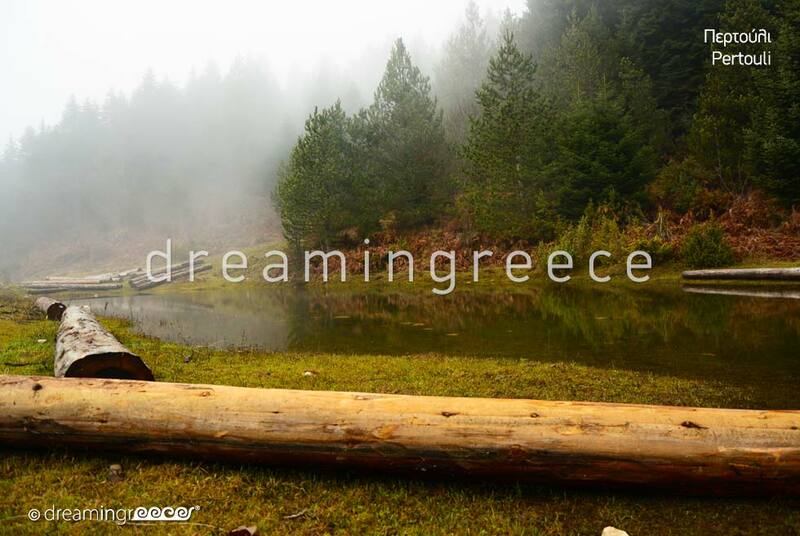 Except for the fantastic fields, the village is also known for its river, called Pertouliotikos or Kseria; the flow of which forms shapes like meanders; locals call those shapes klouria. 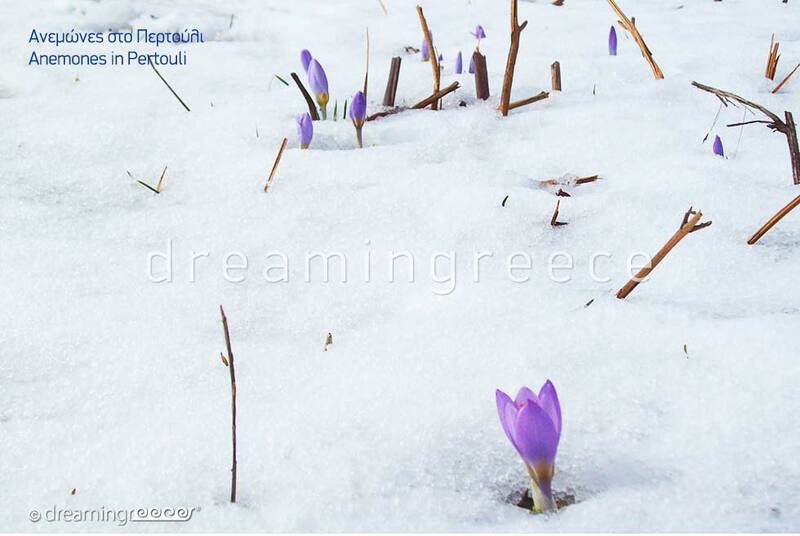 Setting Pertouli as a starting point you can climb at the top of the Koziakas Mountain or at the top of Mpoudouras Mount where you can admire the homonymous spring. 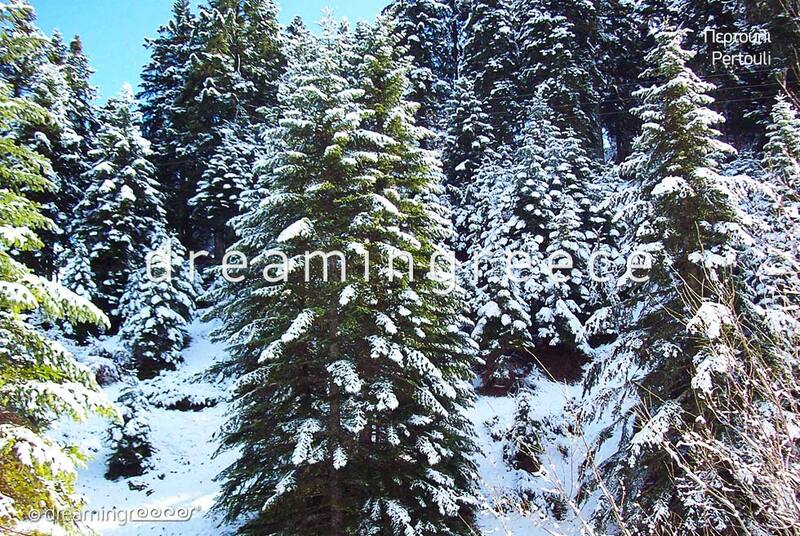 Among Elati and Pertouli, set in an amazing fir trees forest, the small but well equipped Pertouli ski resort, one of the most easily accessible ski resorts of the country, is found. The resort offers a beautiful chalet where you can enjoy your coffee next to the fireplace while admiring the snowy scenery. For those who prefer an alternative way of tourism, Elati and Pertouli, besides the ski resort, also offer the chance to try a great variety of activities, such as walking through the forests, climbing, riding with horses or mountain biking through great paths, scaling and archery. 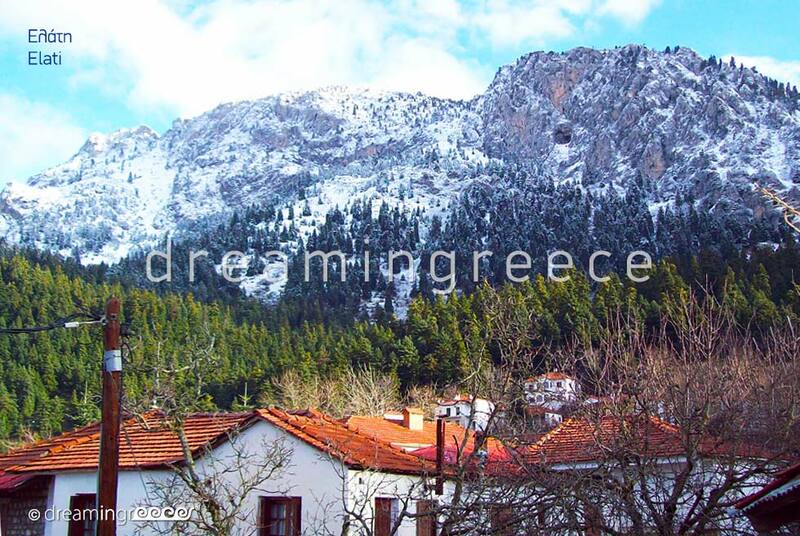 When visiting Elati and Pertouli you have the chance to admire the valleys with the small rivers, the alpine meadows and the huge mountain hills which are composing a great scenery with the most wonderful elements of mother nature. A scenery of such beauty that will carry away even the most demanding travelers! To reach Elati, you can drive from Athens (349 km distance - 3 hours and 30 minutes ride) via the National Highway from Athens to Lamia. 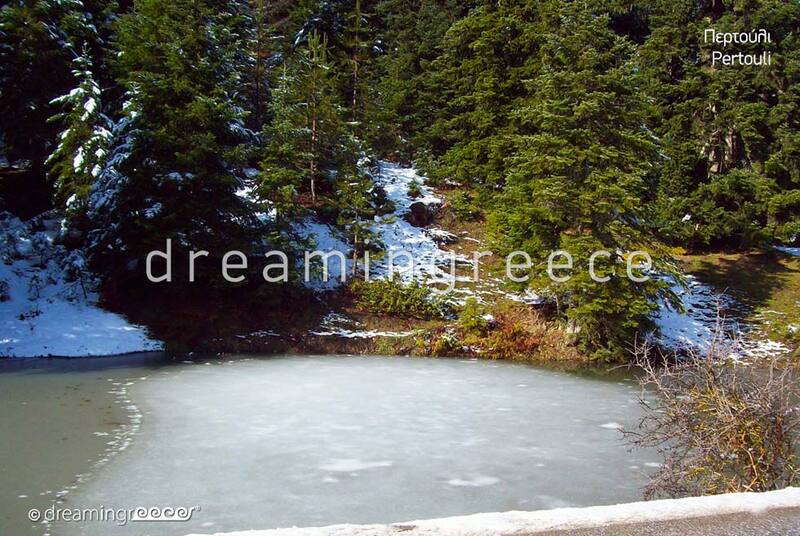 Follow the road to Karditsa, pass Mouzaki village and follow the signs to Pyli and Pertouli villages. The village of Elati is just 13 km away from Pyli village. To get to Pertouli you will drive for 14 km further along from Elati. 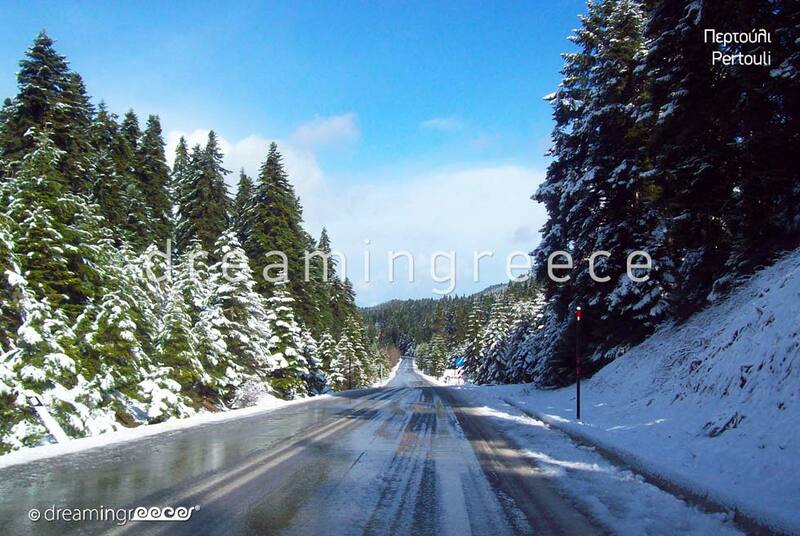 You will drive to Volos from Thessaloniki (246 km distance - 3 hours ride) via the National Highway from Thessaloniki to Athens. 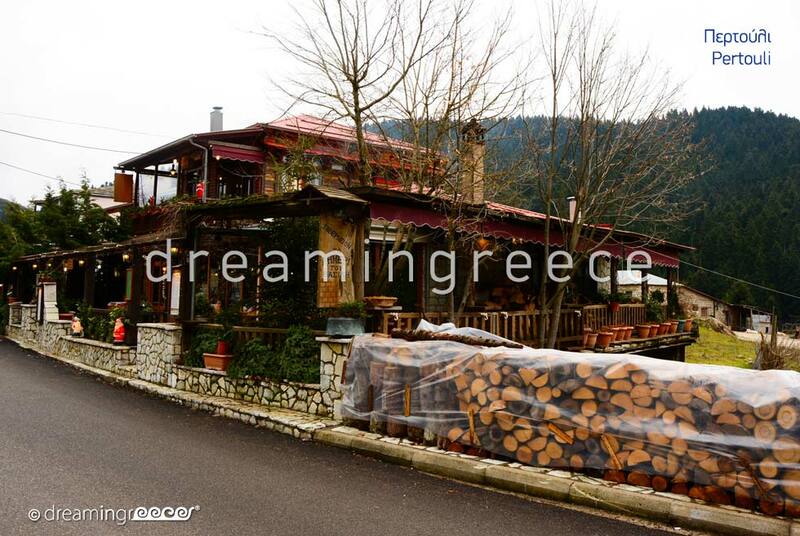 When you reach the city of Larissa, follow the signs to Trikala and then to Pyli and Elati villages. To reach Pertouli village you will drive for 14 km further along from Elati.